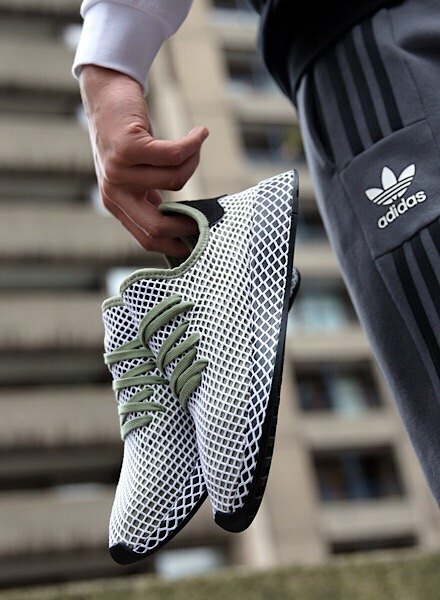 Back with a new lifestyle runner, adidas Originals have been teasing us with previews of their latest model, the Deerupt; set to land on JD @ 8am tomorrow. Taking inspiration from urban planning and architecture, as well as adi’s Marathon trainer (one of the last silhouette’s adidas’ founder Adi Dassler was involved in developing), the trainer’s running roots originate back to ‘79. However, with intricate modification, including adding contemporary designs and features – the shoe gains edge unseen in previous models. 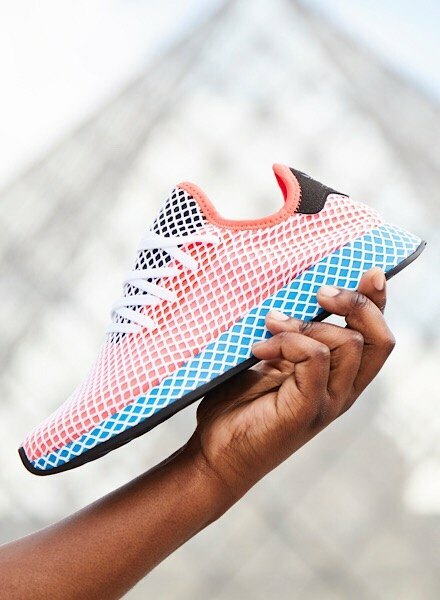 The thing that makes the Deerupt unique, is how it utilises a grid concept as its central design principle. Making an unmissable statement, the sneak is built with a flexible mesh upper, enveloped entirely by a webbed overlay. The silhouette comes in a range of statement colourways, including multi-panel colourblock as well as full white for a fresh look. Aesthetic aside, adidas have outdone themselves yet again by creating a shoe that refuses to be ‘broken in’, but conforms to its wearer. Coming equipped with an OrthoLite® sockliner, zoned foam pockets placed along the interior create a locked-in fit, ensuring maximum comfort and flexibility that works with you as you move. The show is bold. It’s brave. But it’s also entirely worth it.